Through many journeys and many teachers, I have never shared a relationship quite as special as my bond with Peruvian shaman I often lovingly refer to as Gandalf: Don Howard, of Spiritquest Sanctuary. His life’s work has kept alive the spirit of the ancient South American culture, Chavin, and it's traditions, such as the Huachuma Mesada: a transformative plant medicine ceremony that he graciously unpacks in this rare interview during an equally rare visit to the US after spending most of many decades in the Amazon jungle. Don Howard explains how the path of service took him from a boy in Georgia with a calling, to one of the great shamans of our time. 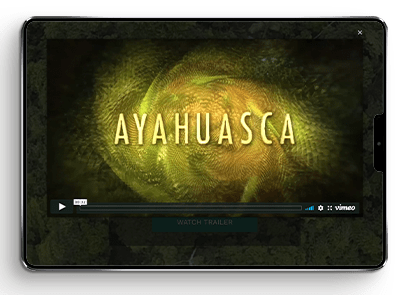 He walks us through his approach to ceremony, plant technologies ayahuasca, huachuma, and vilca, and what he believes we can do to spread the healing and awareness that can save our world. This is probably the single best discussion of Trichocereus cacti as medicine out there right now on the internet. Howard’s wisdom and attitude are impressive. Thanks for sharing this Aubrey. Just please remember that Howard is not the only one who has good cactus or knows how to brew a strong tea. I think that distinction is important to make when spreaking accurately about these cacti. Thank you so much for this episode. I am yet to experiment with plant medicines. I am definitely feeling the callings. Looking forward to it. Keep up the good work.